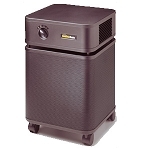 This powerful machine is great for large rooms or to use as a central unit in a home or office. 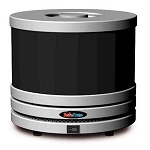 It has a variable speed motor so you can turn it up to clean the air quickly and lower it when you need to. Moving the unit around is easy because it's mounted on smooth glide casters. 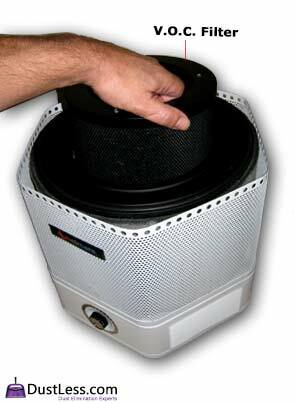 By adding the optional activated carbon/zeolites canister the 3000 literally makes odors vanish! 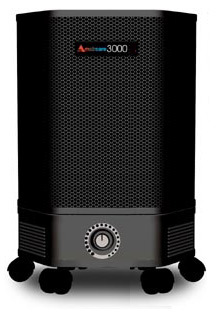 The 3000 sleek design comes in white or jet black and blends in anywhere. 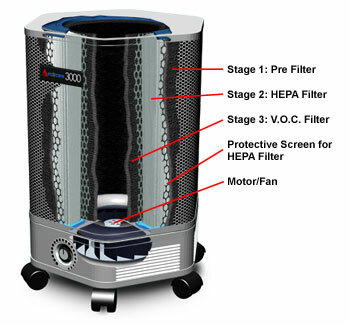 Three stage air filtration: Pre, HEPA and post filters. 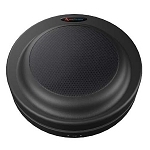 Sturdy 24 gauge cold rolled steel case: not plastic which can emit VOC's. Powder coated baked enamel finish in white, black or sandstone. 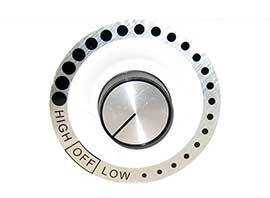 Variable speed German motor with 5 year warranty. 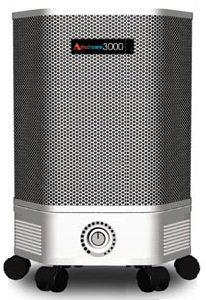 Optional VOC filter cartridges. 100% carbon or carbon and zeolites. U.L. and C.S.A. 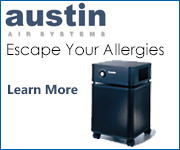 Approved Increased air flow more efficiently removes pollutants like dust, dust mites, pollen, pet dander, etc. 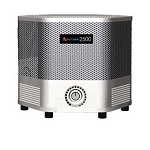 For computer rooms or where low dust or dust free environment is important. 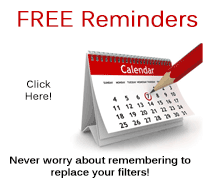 Amaircare® manufactures its own Amaircare® brand HEPA filters. Filament is bonded to air filter media for structural support and even pleat spacing. 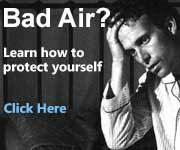 After pleating, filters are enclosed in protective screens and cast in food-grade plastisol at both ends for a 100% air seal. 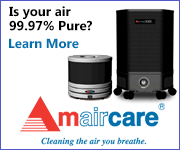 Each Amaircare® HEPA filter is then tested for 99.97% efficiency, with a laser particle counter.